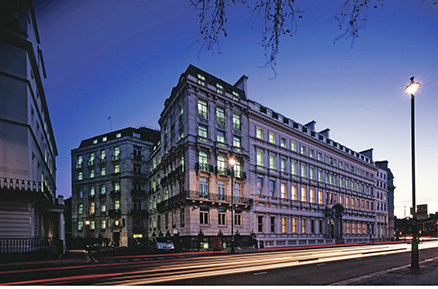 TPP regularly provide transport planning input and design advice on high-end luxury residential developments within Central London, especially in respect to access, servicing and car parking. A recent example is the No 1 Palace Street scheme for 78 residential apartments and involves refurbishment, alteration, partial demolition and redevelopment of office buildings at 1-3 Buckingham Gate and 1 Palace Street, including excavation to form three basement levels accessed via two car lifts. The scheme also includes a restaurant at ground floor. TPP produced the Transport Assessment in support of the planning application and assisted in the design of the access, car parking layout, positioning of car lifts and servicing arrangements. The scheme gained a resolution to grant consent in July 2013. Since then TPP are advising the new owner on a revised scheme.